Judith Ann (Ingram) Schwartz, 72, of Crescent Twp. passed on Monday September 24, 2018 at The Residence at Willow Lane, McKees Rocks. She was born in Altoona on July 23, 1946. She was the daughter of the late Richard & Louise (Flick) Ingram. 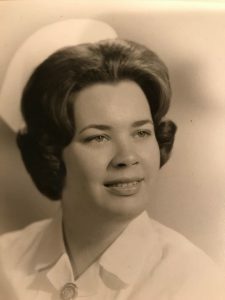 Judy attended nursing school at West Penn Hospital in 1967. She then worked for many years as the nurse manager of labor & delivery/post-partum at West Penn Hospital. Judy later obtained her Bachelor of Education degree at California University of PA. She also worked in surrounding school districts as a school nurse as well as Director of Occupational Medicine at Suburban General Hospital, prior to retiring. Despite her dedication to caring for patients, family was Judy’s pride and joy. She loved Disney World and visited there many, many times with her husband, children and grandchildren over the years. Judy was famous for her meatballs, cookies, apple crisp and pineapple stuffing. Her grandchildren inherited her love for baking and continue her traditions to this day. She is survived by her husband, Jerold Schwartz. Two children, Darrin Schwartz (Beth) of Pittsburgh & Lori Robinette (Scott) of Monroe, NC. Four grandchildren, Ryan, Allison, Tanner & Hannah, and a brother, Larry Ingram (Peggy). Friends will be received on Thursday September 27th from 2-4 & 6-8 PM at The Huntsman Funeral Home and Cremation Services of Moon Twp. (1522 Coraopolis Hts. Rd). Graveside services will be at 2PM on Friday at Mt. Royal Cemetery, Glenshaw. The family wishes to thank those who have extended emotional support to them in Judy’s final days, including the Willows staff, 365 Hospice & Davita Dialysis.